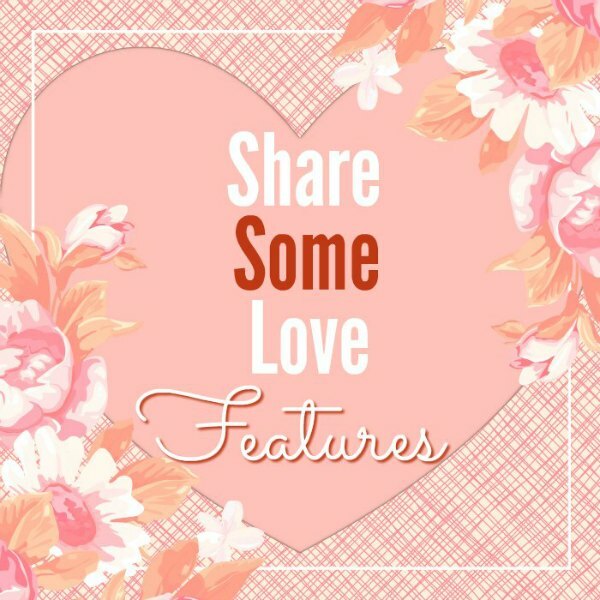 I just love co-hosting link parties and we had so many wonderful bloggers link up for our Share Some Love link party. I hope you all found lots of great ideas to inspire you. 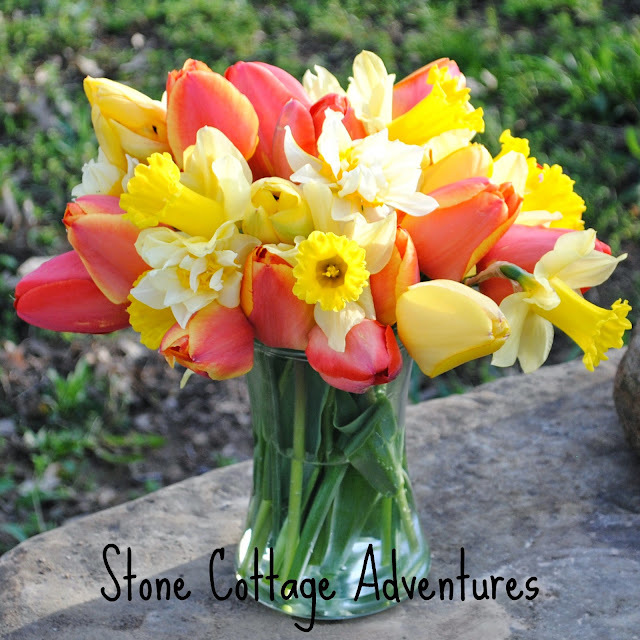 This beautiful Bouquet Arranged "By Hand" Tutorial by Stone Cottage Adventures-- I struggle with flower arranging and this bouquet is just beautiful. 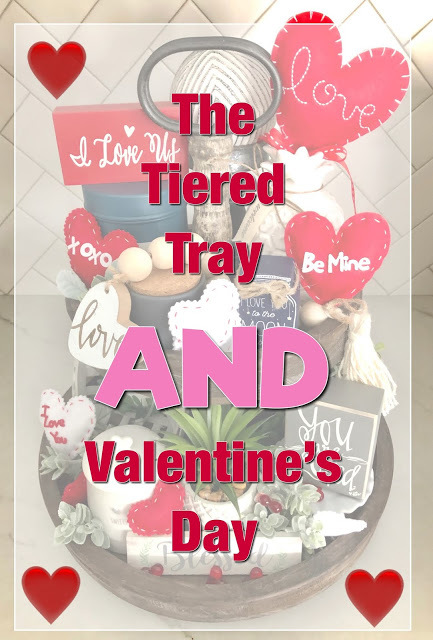 This adorable Tiered Tray & Valentine's Day by Living on Cloud Nine was so stinkin' cute it made me wish I had a tiered tray to decorate! 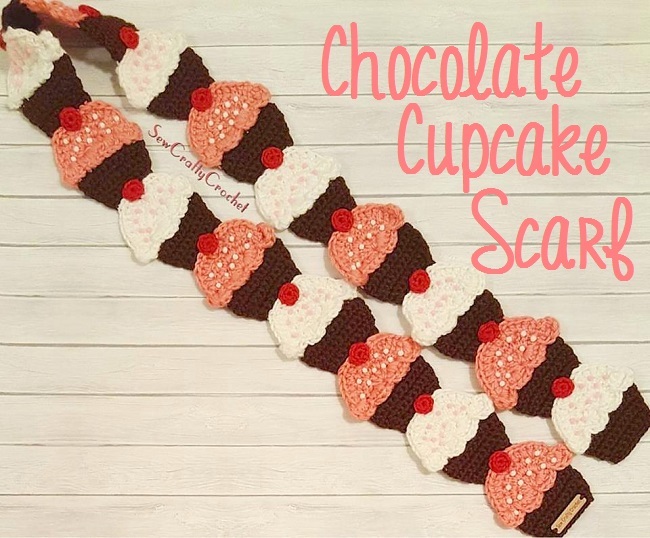 I just love this Chocolate Cupcake Scarf by Sew Crafty Crochet-- It really made me wish I knew how to crochet! 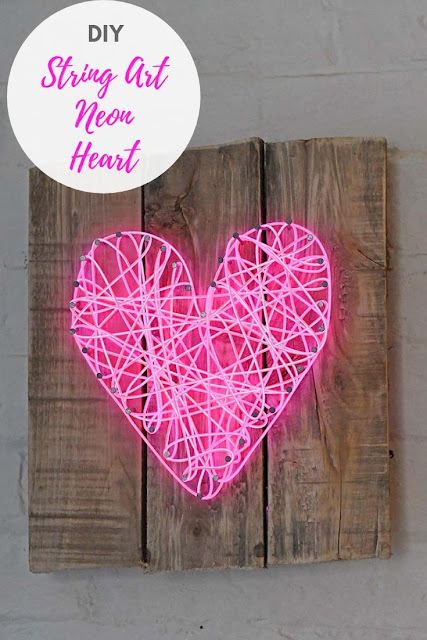 My boys and I have made string art in the past but I had no idea they made neon string until I saw this fabulous DIY String Art Neon Heart by Pillar Box Blue! You just know we've added this to our list of crafts to try! I always make my own Valentine's Day cards but tend to keep them fairly simple. 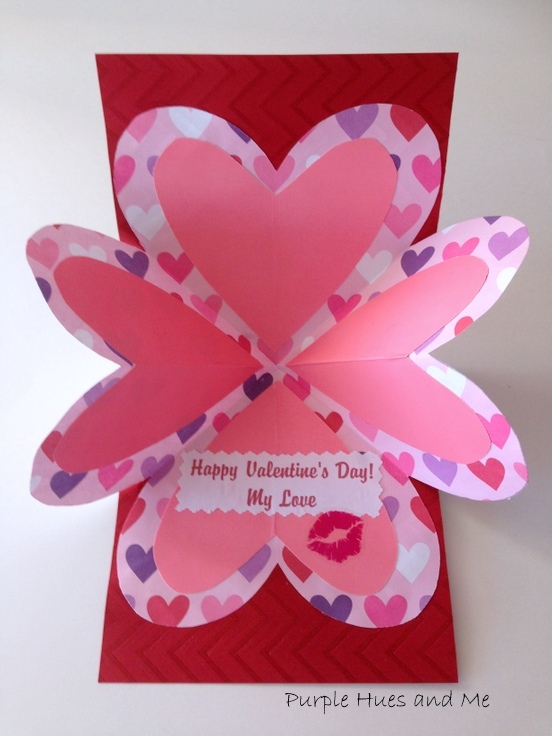 I just could not get over this fabulous Folding Pop-Up Valentine Card from Purple Hues and Me. 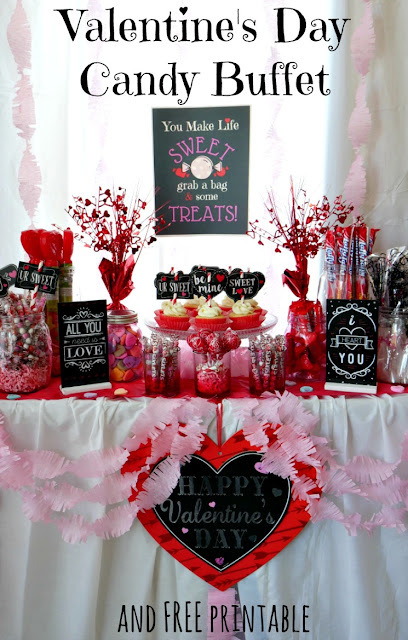 My Pinterventures put together a delicious looking Valentine's Day Candy Buffet And Free Candy Bar Printable that would make anyone salivate! 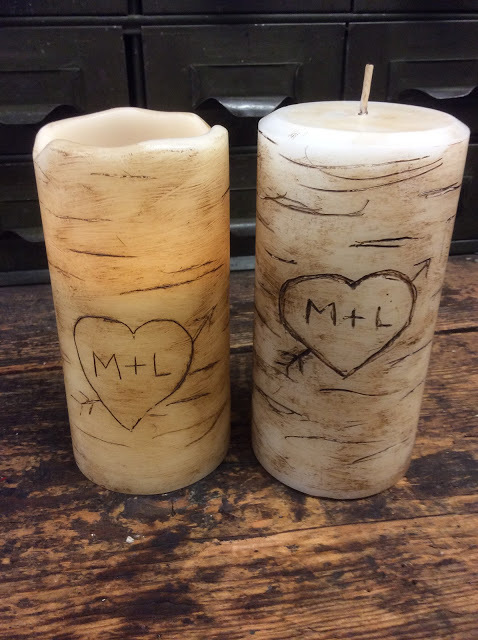 Fresh Vintage By Lisa S showed us How To Make Personalized Faux Birch Candles; aren't they just adorable? I LOVE the Meet Me at the Eiffel Tower Table Valentine from Debbee's Buzz-- Having gone to France in high school I have always had a soft spot for the Eiffel Tower. What were some of your favorite posts from our party? Thanks so much for including my pop-up card in your features! I love your assortment of projects! Great inspirations! Have a wonderful Valentine's Day! You are very welcome! I can't wait to try it out. Always such a thrill to bee featured! 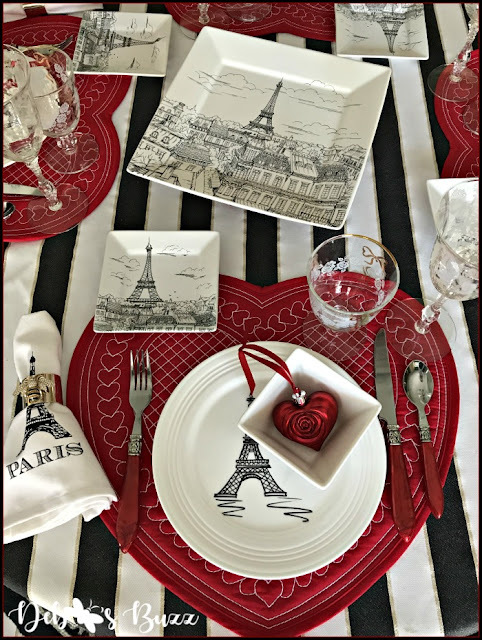 You always have a seat at my table, whether it's Paris or Pittsburgh and just a faux Eiffel Tower. Have a sweet holiday! Sweet friend! Thank you so much for sharing the love with my tiered tray! I hope you are having a great day! Aw, you are so welcome! I am having a fabulous day. You're welcome! Mostly I think I struggle with finding the right vase; a bouquet can look really nice in my hand but when I go to put it down it looses something. That cupcake scarf is so cute, but it would make me want to eat cupcakes all the time. It probably would make me want to all the time too!